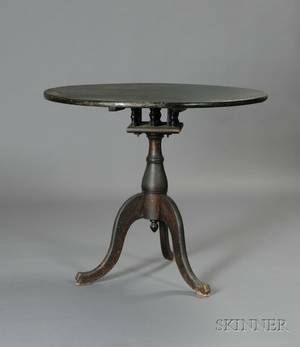 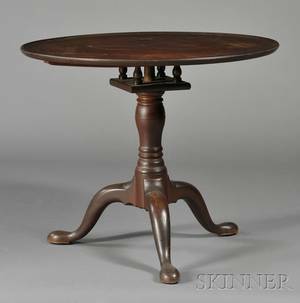 Queen anne tilt-top candle stand; mahogany on tripod base, mid- 18th c.; 23 1/2" x 19" dia. 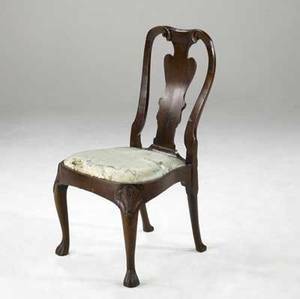 English queen anne side chair mahogany fiddleback with ball and claw feet, ca. 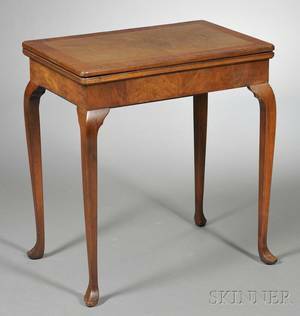 1750. 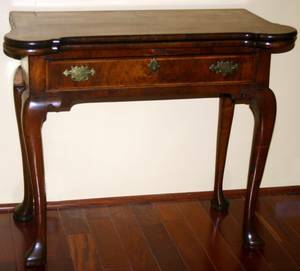 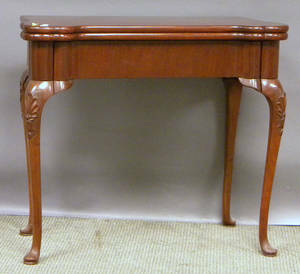 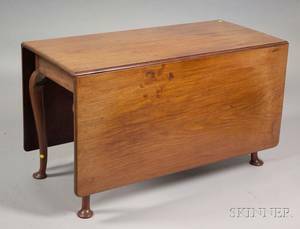 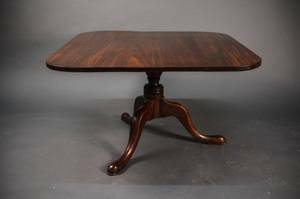 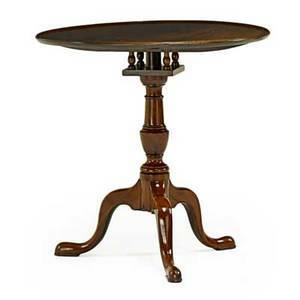 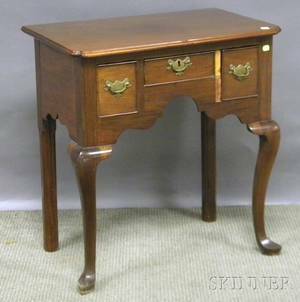 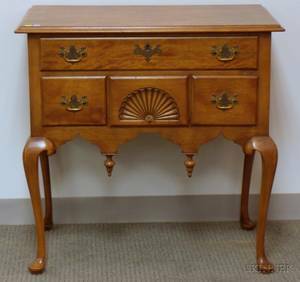 21" x 18" x 39"
Queen Anne-style Carved Mahogany Card Table.